I planned my harvest gap year back in 2017 and asked for vintage work in my 2017 January newsletter. 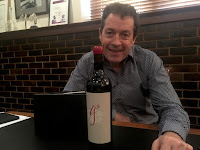 Mark from Maxwell Wines in McLaren Vale was the first to reply so there I was, for a month from mid March 2018. 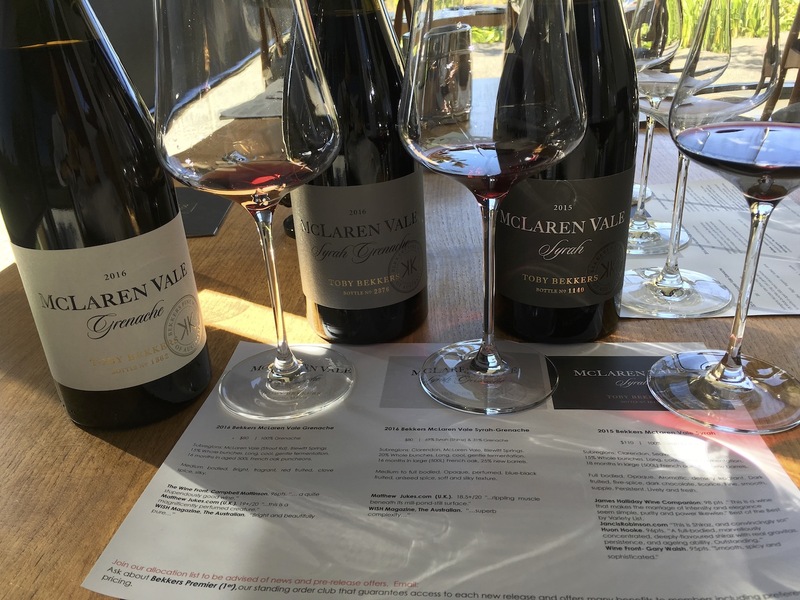 I only stopped at McLaren Vale for lunch a long time ago when I was visiting Australia as a tourist so it was a nice opportunity to get acquainted with this region which is only one hour drive from Adelaide. Although moderated by sea breeze, McLaren Vale is still relatively warm and red grape planting is the norm. Maxwell’s vineyard is planted with Shiraz, Grenache and Cabernet Sauvignon but there is also a small amount of Verdelho on poor soil. Luckily wineries are free to source grapes from other regions. 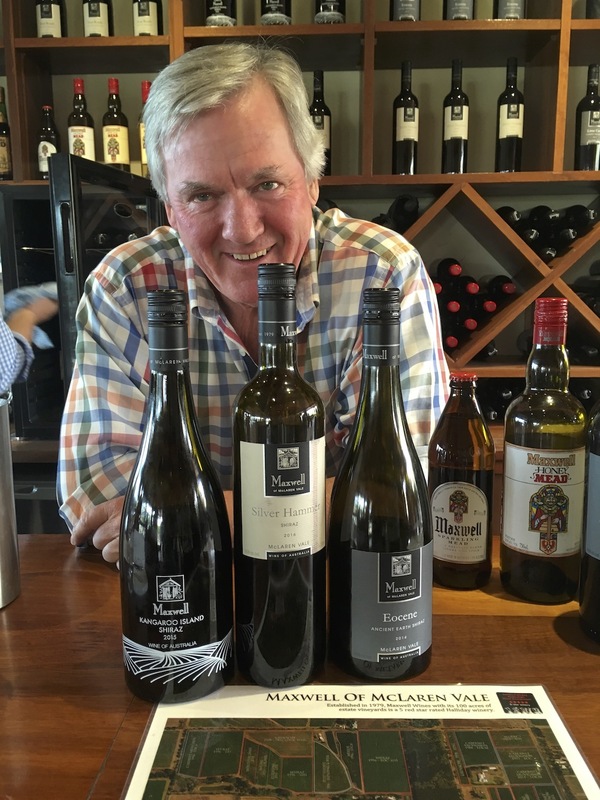 Maxwell’s Chardonnay grapes come from Adelaide Hills next door and he also experiments with Kangaroo Island Shiraz. Its Silver Hammer Shiraz is generous, typical from McLaren Vale and is the best seller while the flagship Minotaur Shiraz is intense and deep. I particularly like the cooler climate wines including the Adelaide Hills Chardonnay and Kangaroo Island Shiraz. The barrel-fermented Verdelho goes particularly well with Asian fragrant herbs. Probably because of culture but more likely because of labour issue, Australian wineries are highly efficient. Maxwell processes about 350 tons of grapes and there were only 4 people including me working in the cellar during vintage. Everyone worked individually, independently and often multi-tasked. Mark proudly explained that the grape receival flow including tipping grapes to the hopper, destemming, crushing and sending the juice either to the press or tank, was designed in such a way that only one person is needed to handle the entire process. The family has been growing grapes for two generations but it was Mark who built the present winery some 20 years ago. He is still pretty hands-on in daily operation. 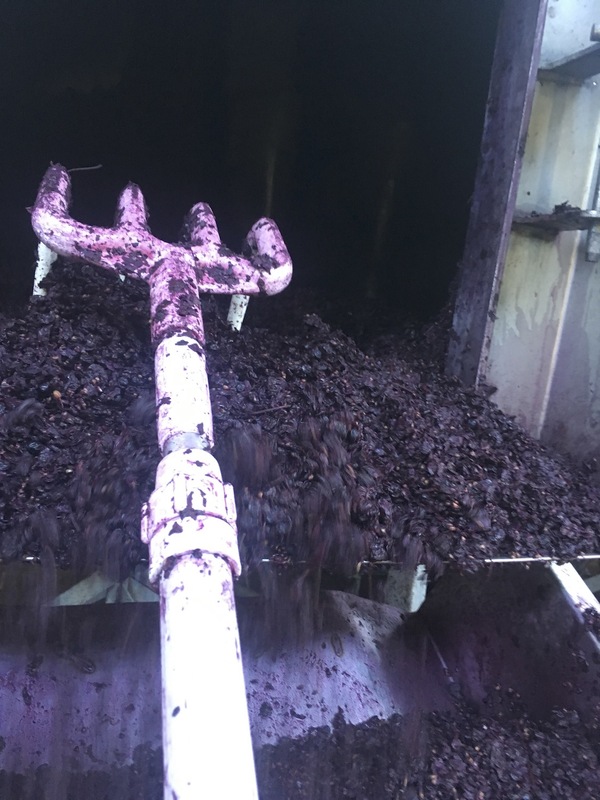 Apart from being that single person responsible for grape receival (and he loves it), he tastes the fermenting juice every day and works closely with head winemaker Andrew Jericho to create the final blends. A competent winemaker though Mark is, he is more of a marketing man and I think this is his secret of success. He conducts cellar tour and works at cellar door, talking to visitors enthusiastically and charming them to buy the wine. The wine quality is there but Mark’s extra nudge often converts visitors to customers and Maxwell has a loyal following. 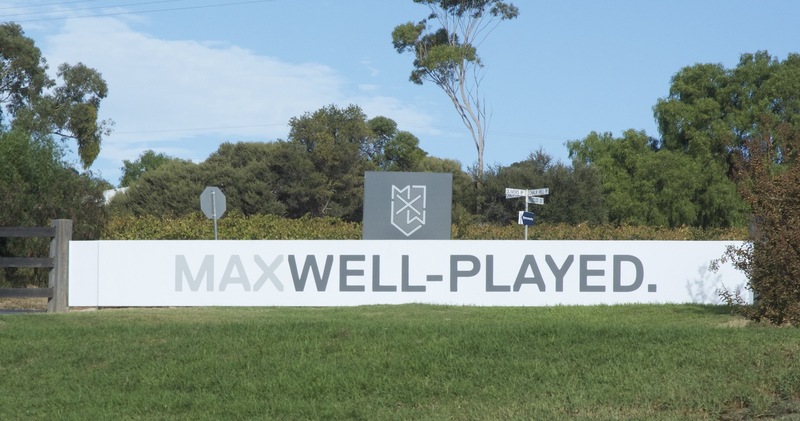 While I was there, Mark was rebranding the logo from Maxwell to MaxWell-, a complete makeover from the more traditional visual to a contemporary one that plays on words (MaxWell-made, MaxWell-played, MaxWell-fed, and so on). Visit its revamped website, it’s clever. Mark reckoned a young company without the long history and heritage needs to freshen the image regularly to attract new consumers - a marketing man talking! The Maxwell family was in fact the pioneer of mead, wine made from honey. Mark’s father studied this ancient beverage and after numerous experimentation with different honey and yeasts, he finally released the first Australian commercial mead in 1961. As the saying goes, the rest is history. Maxwell is the largest producer of mead in Australia and success inspired others to follow suit. Currently there are four meads on offer: Honey, Sparkling, Spiced and Liqueur. They can be enjoyed straight, in cocktail or cooking. The diversification of the mead portfolio from the original honey mead is yet another evidence of the marketing thinking of Mark. Maxwell Wines and honey mead are available in Hong Kong from wine’n’things. 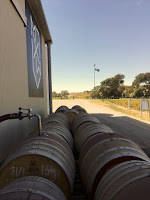 My four weeks in McLaren Vale not only allowed me to visit other wineries, but also to explore the region. The rolling hills are gentle enough for not-too-strenuous cycling, ideal for those who want to experience the region up close and at the same time, burn off a few calories. Hikers can wander around the numerous tracks in Onkaparinga River National Park and the pristine coast only 15 minutes from McLaren Vale is just perfect for beach lovers. No wonder both residents and visitors of Adelaide flock to this playground. Bekkers Wine: A boutique winery making only 1,000 cases of fine Grenache, Syrah Grenache and Syrah by husband and wife team, Toby Bekkers the viticulturist and French Emmanuelle the winemaker. They prove that wine at 15% alcohol can be elegant and with finese. Emma also makes a Chablis Premier Cru to complement the Bekkers range. They are looking for like-minded importer in Hong Kong. Coriole Vineyards: Bound by no rules of the Old World, New World winemakers can experiment different varieties and style of wine. Coriole takes full advantage of this freedom by planting Italian varieties alongside the mainstream Cabernet Sauvignon, Shiraz and Grenache. When they released its Sangiovese in mid 1980s, hardly anyone could pronounced the name. Since then, the winery has introduced Fiano, Vermentino, Nero d’Avola, Sagrantino and Negroamaro to McLaren Vale. Owner Mark plans to experiment with a new variety every year. Their Fiano and Barbera are outstanding, and so is the Lloyd Reserve Shiraz. Their wines are available from East Meets West in Hong Kong and China. 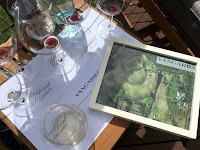 Waywood Wine: It’s always nice to meet someone in a far-away land and found out we are connected. 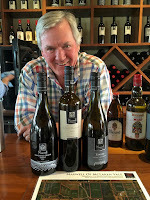 Andrew Wood, owner of Waywood Wine is one such person as we both learned winemaking at Plumpton College. What attracted Andrew to settle down in McLaren Vale was his fondness of big Australian wine but what he actually made is not the typical jammy wine, but more refined and textural. The Grenache, Montepulciano and Tempranillo were impressive. Andrew’s wife runs the charming Luscious Red Kitchen, a relaxed café on site. Yangarra Estate Vineyard: Part of the Jackson Family, Yangarra practises biodynamic viticulture and specialises in Southern Rhone varieties mainly in bush vines including Shiraz, Grenache, Mourvèdre, Cinsault, Rousanne and Viognier. Their Roux Beaurte, a 100% Rousanne partly fermented in cement egg for 160 days has beautiful texture and minerality. The Ironheart Shiraz and High Sands Grenache are restrained with depth. d had a glimpse of their new but sold out creation g3. Unfortunately there was not tasting but Peter made it up by disclosing his future plan that I have to keep secret - watch this space! If you have more than a few days to spare, make sure to drive up to Clare Valley, about 3 hours from Adelaide, for some of the best Australian Rieslings.